Normally, we wait until Easter to finally get rid of our Christmas tree. Between New Years and Easter it lives on our deck next to the hot tub. With our crazy weather this year, the daffodils are blooming already so it just seemed time to put it out. The goats go crazy for it and the sheep get right in there. Jessica even had a nibble. 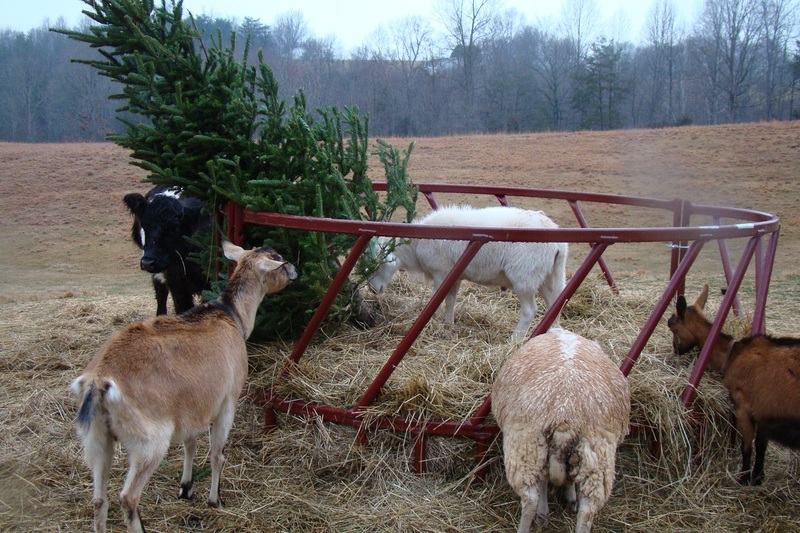 We used to have a few pines in our pasture, they were the first to go when the goats arrived.